NEW BRITAIN - New Britain State’s Attorney Brian Preleski is seeking to permanently seal the names of those who applied to receive a financial reward for supplying information that led to the conviction of a serial killer. 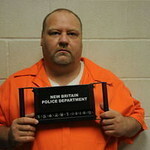 William Devin Howell killed seven people in a 10-month span in 2003 and left their bodies behind a plaza on Hartford Road. Information from inmates, along with re-examined DNA, was instrumental in Howell’s arrest on six counts of murder in September 2015. At the time, he was already serving a 15-year sentence in the death and disappearance of Nilsa Arizmendi. Arizmendi’s body was found along with the remains of Melanie Ruth Camilini, Danny Lee Whistnant and Marilyn Gonzalez in April 2015. The remains were located in the same wooded area where police found skeletal remains of three women in August 2007. The three women were later identified as Diane Cusack, Joyvaline “Joy” Martinez and Mary Jane Menard. In an attempt to bring their killer to justice, Gov. Dannel Malloy approved three $50,000 rewards in 2014 for anyone who provided information leading to the arrest and conviction of the person who murdered Cusack, Martinez and Menard. After Howell was sentenced to 360 years in prison in November, Preleski publicly issued a call for applications for the rewards. According to court papers filed Friday, five people, three of whom are incarcerated, submitted for the rewards. In a motion to seal the names of the five permanently, Preleski said at least one inmate who provided information about Howell has been exposed to “extortion attempts” and “assaults” in connection with their role in the case. Preleski is seeking to have their names permanently sealed, the motion said. Court records show that at least three inmates helped authorities with the case. Jonathan Mills, who is serving a life sentence for four murders that occurred in 2000, drew authorities a map of where Howell described he had buried four of the victims including Arizmendi. He also gave investigators detailed information on how Howell killed several victims, court records show. Mills’ map, drawn just days before a cadaver-sniffing dog searched the area in April 2015, proved to be accurate. Camilini, Whistnant, and Gonzalez were found with Arizmendi in the location where Mills led investigators. Howell was charged with the six additional deaths a few months later. Police were initially tipped off that Howell may be the killer behind the deaths of Cusack, Martinez and Menard in 2011 through a conversation with an inmate named Thomas Phillips, court papers show. At least two other inmates were interviewed by either police or members of the Greater New Britain Serial Murder Task Force leading up to Howell’s arrest, documents said. According to state law, state Attorney General George Jepsen can seek to have any reward money garnered go toward repaying the state for the cost of imprisonment, a representative from his office said earlier this year. A hearing on the sealing order will be held Aug. 14 in New Britain Superior Court before Judge Joan K. Alexander, who also adjudicated Howell’s case. Posted in The Bristol Press, General News on Monday, 6 August 2018 21:34. Updated: Monday, 6 August 2018 21:36.